The Panthers and Blue Jackets are working towards a blockbuster, the Blackhawks are shopping Keith and Seabrook and more in today's NHL Rumour Report. Reports suggest Columbus and Florida could be closing in on a trade that involves Sergei Bobrovsky and Derick Brassard. Both are pending UFAs, but the Panthers are believed to have interest in extending Bobrovsky; Brassard has been linked to Columbus for weeks. How Florida makes this work with their already expensive crease in Roberto Luongo and James Reimer remains a bit of a mystery. Would either of those players be included in this deal, or could the Panthers find a taker elsewhere in the league? Reimer would be the easier of the two contracts to move, but he hasn't played well this year. 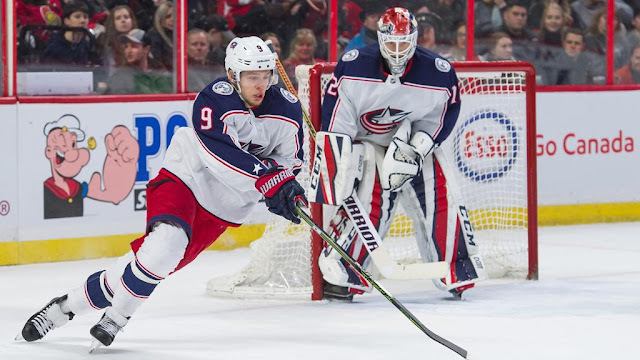 Keep an eye on Artemi Panarin as well - the winger will be highly sought after in the offseason, but Florida might take a swing at him at the deadline. The list of teams interested in Devils pending UFA centerman Brian Boyle continues to grow. In addition to the Sharks, Maple Leafs, Canadiens and Bruins, the Islanders are now in the mix. Rumblings this weekend pointed to Jets forward Jack Roslovic potentially being a trade chip at the trade deadline - but it sounds like this might be a non-starter for GM Kevin Cheveldayoff. Pending RFA (with arbitration rights) forward Nic Petan is rumoured to be a more likely trade chip. It is now 'more likely than not' that both Matt Duchene and Mark Stone are dealt before the deadline. Contract talks appear to be stalled, despite both players having expressed some interest in remaining with the Senators. The list of teams linked to both players remains quite small, but trade buzz should ramp up significantly in the coming days. The Blackhawks would like to move Brent Seabrook, but they will have to convince him to waive his no-trade clause first. Although it appears he wants to stay in Chicago, you have to think this eventually ends up in a trade at some point. Duncan Keith could be on the move too - it's believed the Blackhawks and Maple Leafs had some trade talks earlier in the season. 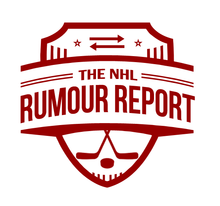 Follow NHL Rumour Report on Facebook and Twitter for the latest rumour updates!